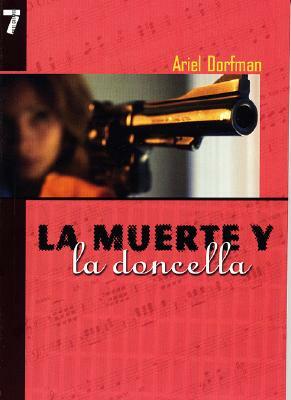 La muerte y la doncella, la obra latinoamericana mas representada en la historia del mundo, ha llegado a constituirse en un clasico sobre la justicia y el perdon, la memoria y el olvido. Dorfman se ha propuesto a explorar preguntas pocas veces hechas en voz alta: "¿Como pueden los represores y los oprimidos cohabitar una misma tierra, compartir una misma mesa?" preguntas que hoy dîa siguen tan vigentes como cuando Dorfman escribia esta obra. ARIEL DORFMAN is considered to be one of “the greatest Latin American novelists” (Newsweek) and one of the United States’ most important cultural and political voices. Dorfman's numerous works of fiction and nonfiction have been translated into more than thirty languages, including Death and the Maiden, which has been produced in over one hundred countries and made into a film by Roman Polanski. Dorfman has won many international awards, including the Sudamericana Award, the Laurence Olivier, and two from the Kennedy Center. He is distinguished professor at Duke University and lives in Durham, North Carolina.